Welcome back to Bel-Air. Deadline reports the cast of The Fresh Prince of Bel-Air recently reunited. The NBC sitcom starred Will Smith as a fictionalized version of himself who moves in with his aunt and uncle in the wealthy L.A. neighborhood of Bel Air. 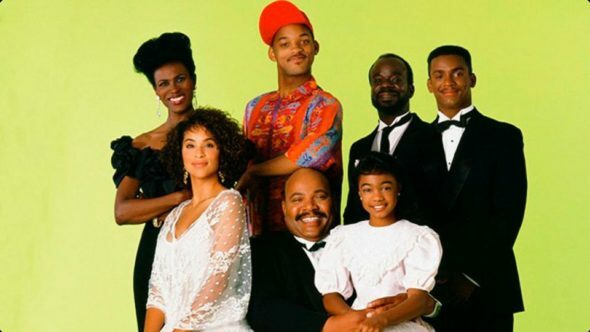 The cast also included James Avery, Daphne Reid, Alfonso Ribeiro, Karyn Parsons, Tatyana Ali, and Joseph Marcell. The series ended in 1996 after six seasons. What do you think? Are you a fan of The Fresh Prince of Bel-Air? Would you watch a reboot? More about: NBC TV shows: canceled or renewed?, The Fresh Prince of Bel-Air, The Fresh Prince of Bel-Air: canceled or renewed? Hope to see” Aunt Viv’ who was not in Alfonso’s latest snapshot of the cast.